Rethink layered lighting with this attractive alternative to traditional solid cylinders. Its luminous body provides an additional vertical lighting component which, as you know, eliminates the cave effect and provides a comfortable source of brightness recognition. But it does more than just look good. Vallejo 4” & 6” offer serious integrated downlight options up to 1100 lumens. Pendants also available in 8”, 10”, and 12” diameters with downlights up to 3000 lumens. Wattage shown is for ambient only. Go to product page for downlight wattage options. 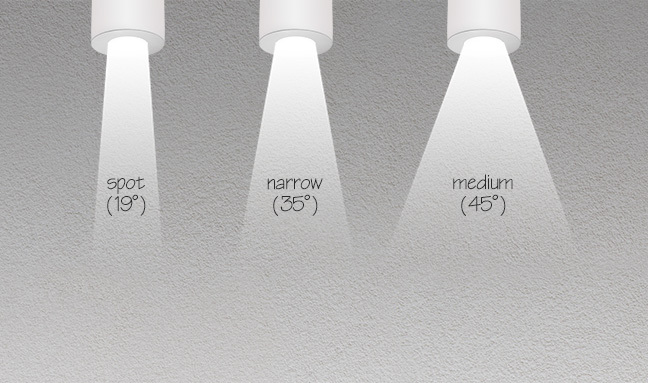 Photometrics for layering downlights are available under Downloads. This isn’t just another decorative pendant – it is a modern-day replacement for the ubiquitous “architectural cylinder.” The traditionally solid housing has been replaced with a fully luminous body, lowering the contrast ratio to soften illumination, increase comfort, and reduce scalloping. Vallejo’s integral performance downlight delivers correct light levels where needed while its luminous form adds elegance and radiance to your most discerning spaces. 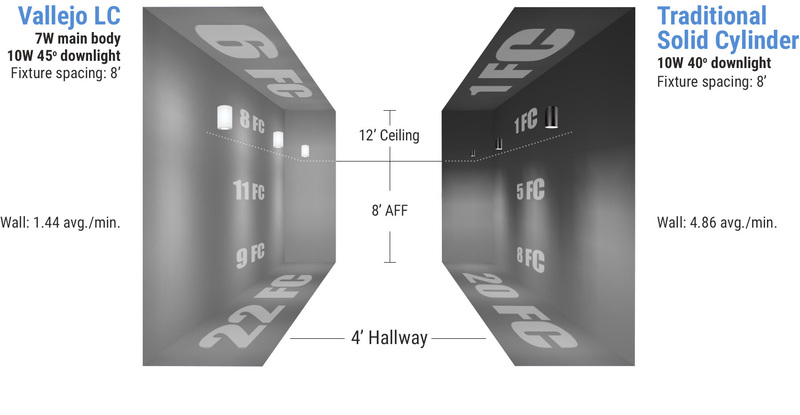 As shown in the example below, Vallejo LC’s luminous body brightens walls and ceilings while delivering comparable illuminance levels on the floor. It is a great choice where you want to increase the feeling of spaciousness or highlight finished ceilings and walls.